Perri "Pebbles" Reid has decided to start telling her side of what went down 20 years ago with TLC. On the heels of VH1&apos;s successful CrazySexyCool: The TLC Story biopic, the pop singer-turned-record company exec-turned-minister went on The Wendy Williams Show to discuss allegations she stole millions of dollars from one of the biggest girl groups of all time. Among the bombshell allegations Pebbles dropped — Tionne "T-Boz" Watkins and the late Lisa "Left Eye" Lopes reportedly kicked Rozonda "Chilli" Thomas out of the group for hooking up with producer Dallas Austin, not Pebbles! The "Mercedes Boy" singer also stated she believes Chilli slept with her then-husband, music industry mogul L.A. Reid. Watch as the scandalous tea was spilled all over Wendy&apos;s set in the clip after the jump! 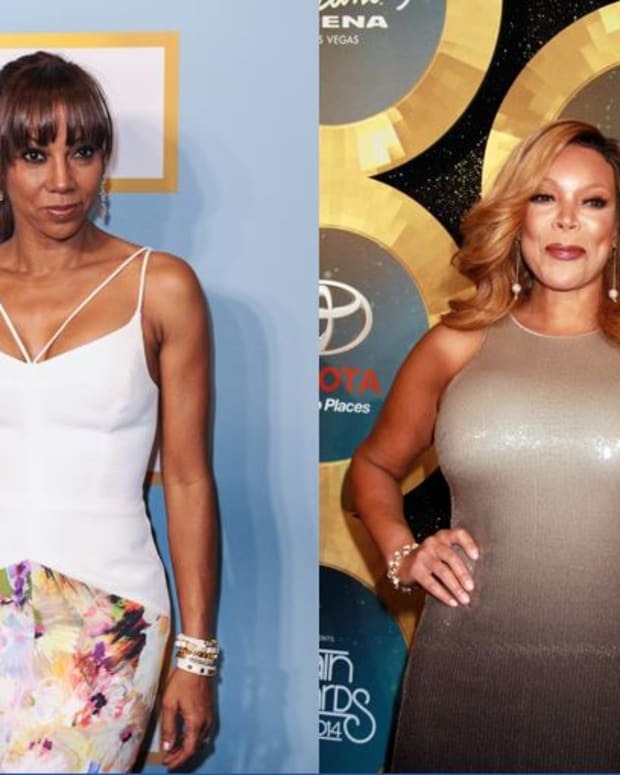 Don't Tell Janet Hubert: Wendy Williams to Star in Chicago on Broadway!